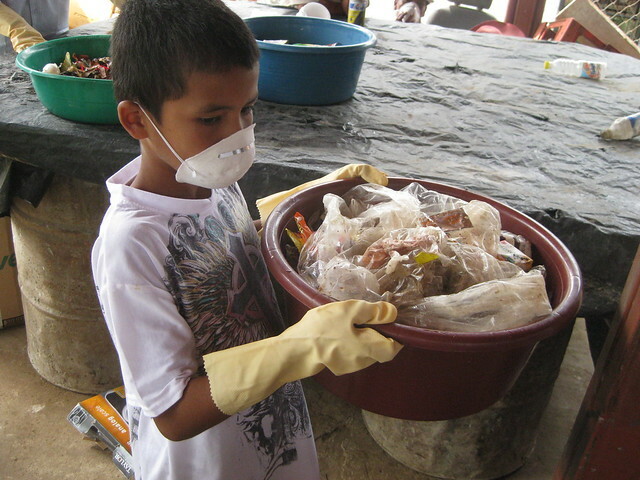 One of the most engaging activities we facilitated on Big Corn Island, Nicaragua was a comprehensive waste sort at the municipal government. To better understand what the most prevalent type of waste (i.e. recyclables, organic, “other”) produced on the island are, we surveyed 4 households, a hotel, a restaurant, and a local food store. Although this sample was too small to have extremely accurate data, we still gained important knowledge about the general composition of the waste on Big Corn Island. Municipal leaders, workers, waste collectors, and our team of MIT students were present for the waste sort. After introducing ourselves and describing how we needed to conduct the waste sort so that it would be meaningful for our data collection process, we dug right in. We made sure to calculate the weight and volume of each category of waste produced by each locale after sorting the waste into designated bins. 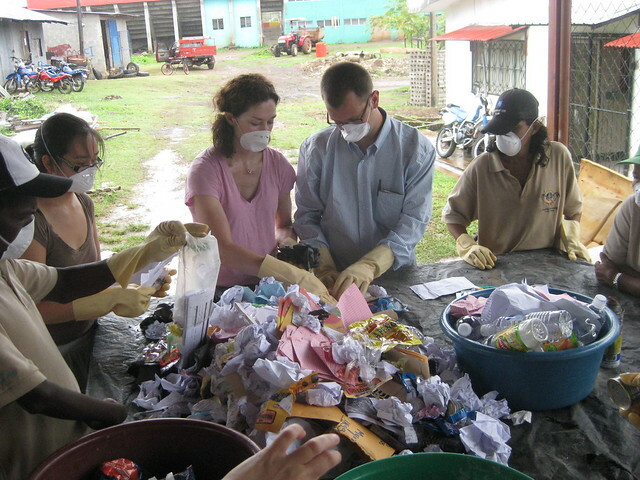 I have to say, my enthusiasm for the hands-on aspect of the waste sort was short-lived. The smell of two-day-old trash was just too much! The help of the municipal workers was very much appreciated because we finished the sort in no time. 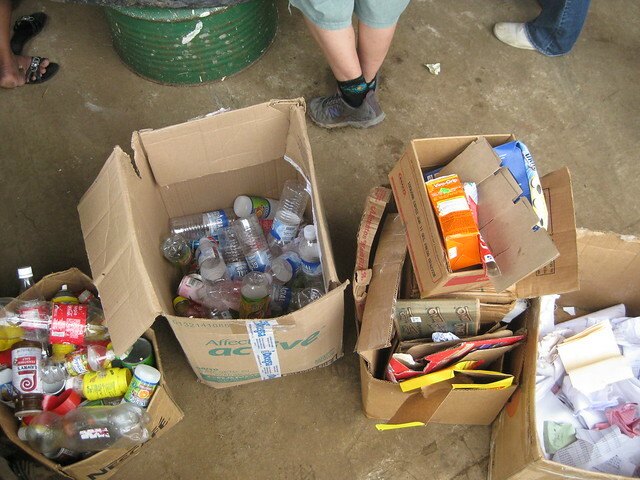 According to the information we gathered, most of the waste produced was organic (18.3 pounds). The recyclables and “other” types of trash came in at roughly 11 pounds. Because of these results, we concluded that composting and a recycling system would drastically reduce the amount of trash that is burned or littered on the island. Although the households, hotel, and restaurant who volunteered their waste did not attend the sort, I believe that greater community involvement would have made this an even better event. It would have allowed us to learn more about how individuals feel about the prospect of sorting. Additionally, it would have provided us with the opportunity to measure the community’s receptivity to the information we were disseminating. Regardless of the fact that the waste sort was not as widely attended as we would have liked, we still had the opportunity to engage with several islanders on the issue of waste management. Our conversations with the attendees provided us with very valuable insight on people’s attitudes towards trash. This insight is essential to the successful development of the project. Post and photos by Evelin Henriquez.